Yesterday I tweeted that I once I find something on my hunt for fashionable finds, it no longer appeals to me as a purchase, but rather the thrill of the hunt itself that is so satisfying. Like a predator that feeds on its prey, an animal finally gets their plat complet and this often ends in death. For me, it is procuring that item that I find so satisfying, not the actual purchase. This goes back to my editorial days when the fashion department would call in copious amounts of items for the monthly issues we were styling. That said, there are certain items that I do not overlook and cannot live without (see white boots, pastel bags), no matter how long these items remain in my cart. During fashion week, I was craving a neon beanie. Most of my outfits were black, white, or a shade of grey and all I needed was a pop of color. I did not own one, but everybody else seem to show up with a highlighted head. The beauty of the beanie is that it will never go out of style, and they give your noggin’ the warmth and über-cool factor it deserves. 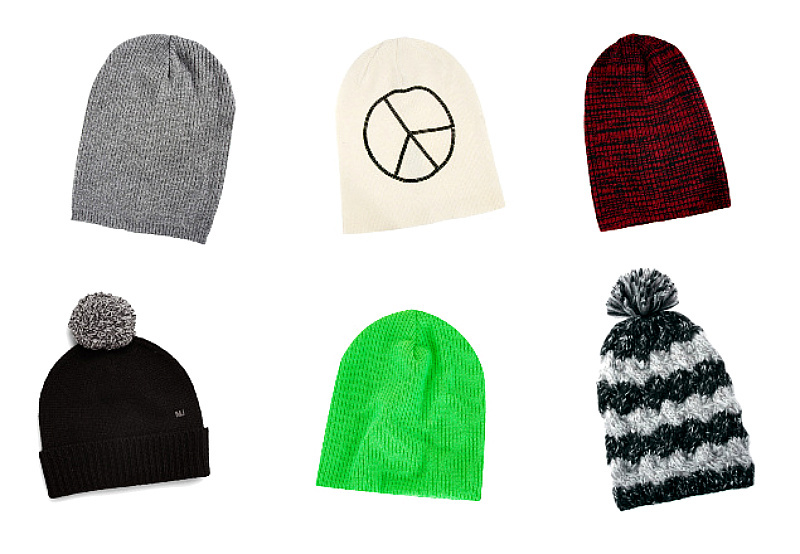 Whether you crave the neon version or the pom-pom variety, here are beanies for your shopping pleasure. And to top it off, get it?, everything is on sale and under $60.00! From left: Asos grey beanie for $10.00!, Wildfox peace beanie for $50.00, Asos beanie under $12.00 FTW. Stay warm and be cool. February is almost over.